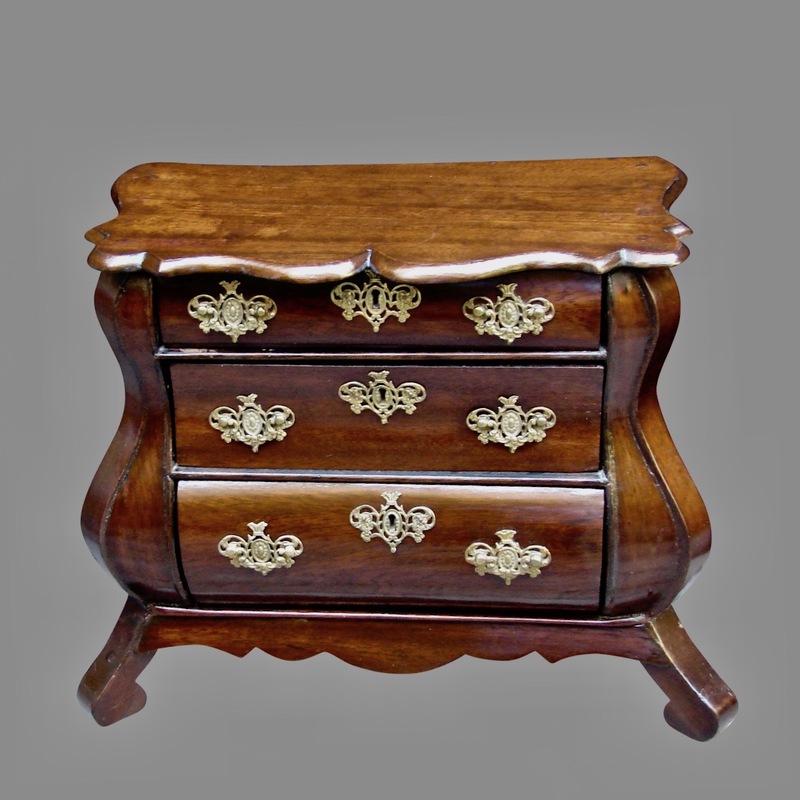 A miniature French mahogany bombe 3 drawer commode, each graduated drawer now lined. 19th century. One handle replaced.